Welcome to your caring family dental practice. We are proud to be one of the first dental practices to be established in Arana Hills and have continued to meet and care for the dental needs of our community. Good dental health helps build self-confidence and is an important part of our general wellbeing and improves our quality of life. 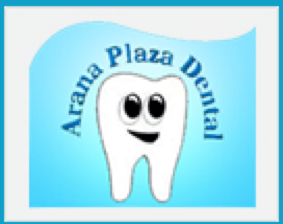 We at Arana Plaza Dental are happy to continually provide our patients, young to old, with exceptional quality dental care to help fulfil their dental goals. So come and visit our caring and friendly team for all your dental needs. We are preferred providers for HCF, NIB and we accept all private health funds, including bulk billing for eligible children through Medicare (CDBS) and Department of Veteran Affairs (DVA). Our HICAPS facility processes all cards on the spot and seamlessly. We also provide payment plans to help ease your financial cost so that you and your family can continue to access the most appropriate dental care that meets your individual needs.